At Richardson Pioneer we're committed to bringing you, our valued customers, the best service possible. To help do that, we’ve developed Your Richardson Pioneer as a tool to help us keep in touch throughout the season. 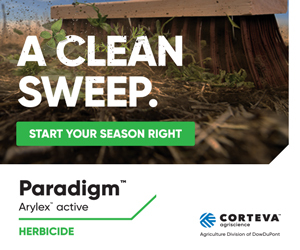 You'll receive bi-weekly updates from your Richardson Pioneer Ag Business Centre, along with other valuable agronomic content and production tools within this website. Richardson is the first name in Canadian agriculture. 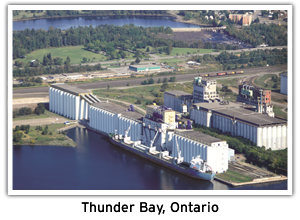 Our progressive company has been successfully serving the Canadian and international agriculture and food sectors for more than 150 years. We were the first company to handle western-grown grain and the first to build elevators in many Prairie communities, long before railroads even stretched that far. Time and experience have helped shape Richardson, but our enduring relationships with our producers, customers, suppliers and partners have helped us grow into the well-positioned and globally connected company we are today. Richardson Pioneer is your partner in production. We understand agriculture, which helps us help growers to plan production, improve costs and increase returns. 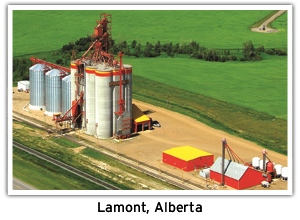 With one of Western Canada’s largest networks of grain-handling and crop production facilities and an extensive network of industry professionals across Western Canada, Richardson Pioneer is your source of information for agronomy, seed, crop protection products, fertilizer and grain marketing. Our Ag Business Centres serve as growers’ primary source for a vast assortment of quality crop inputs from today's top trusted brands of seed, fertilizer and crop protection products. Using the combined knowledge and experience of our agronomists and merchants, Richardson Pioneer provides customers with sound advice, suitable products and timely market information.